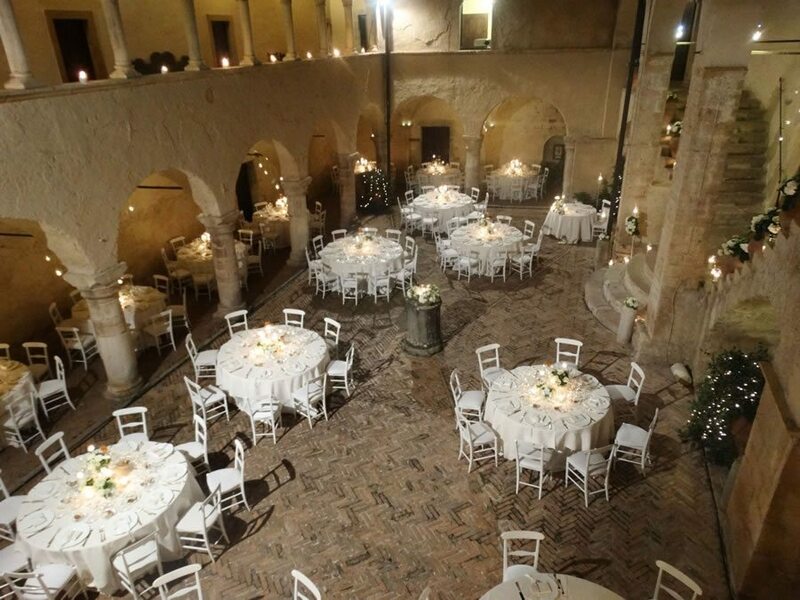 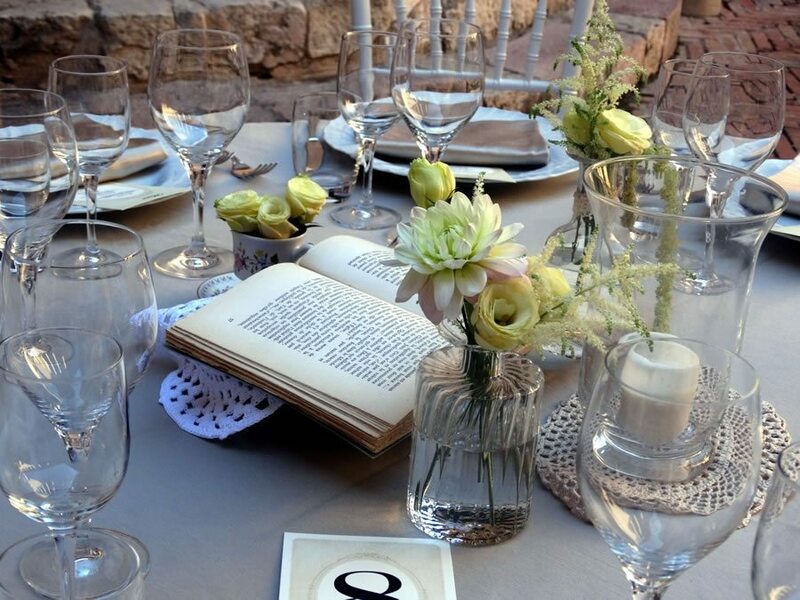 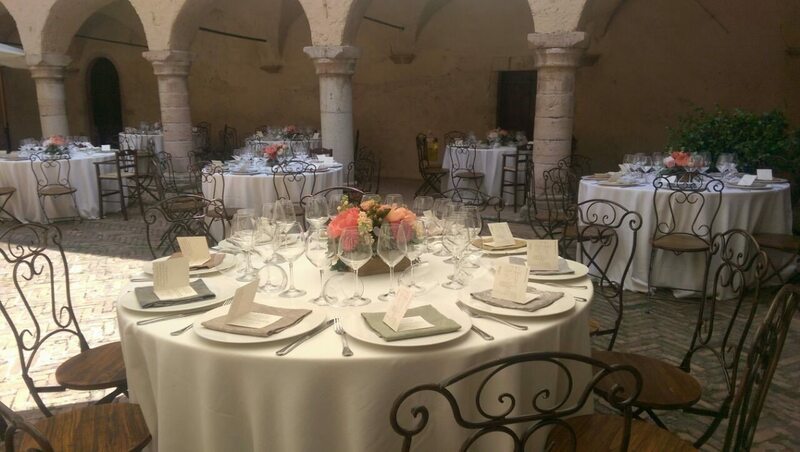 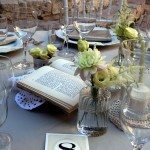 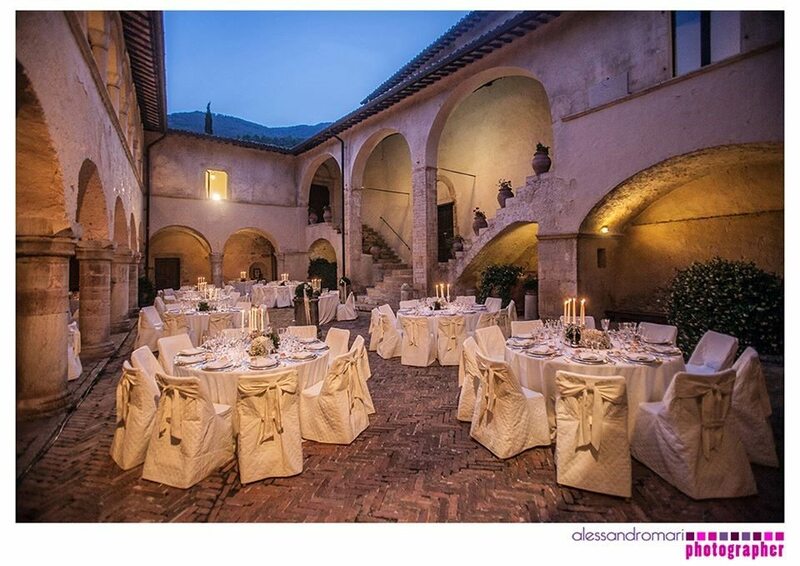 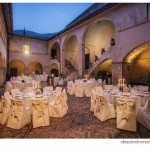 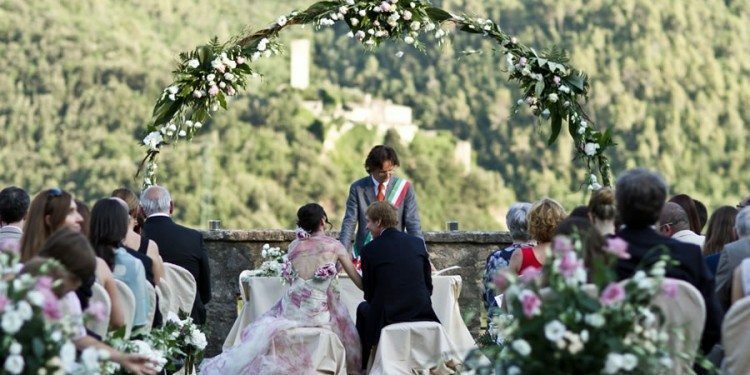 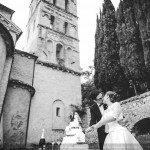 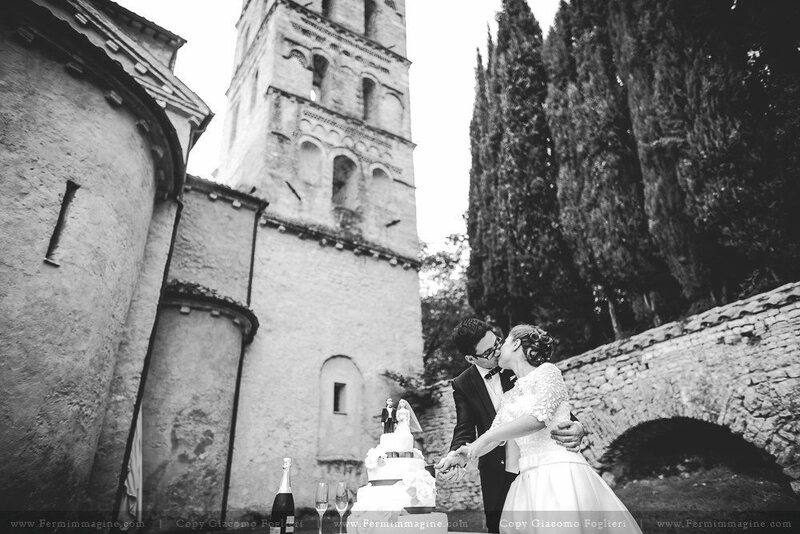 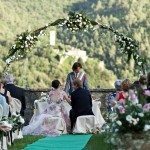 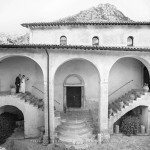 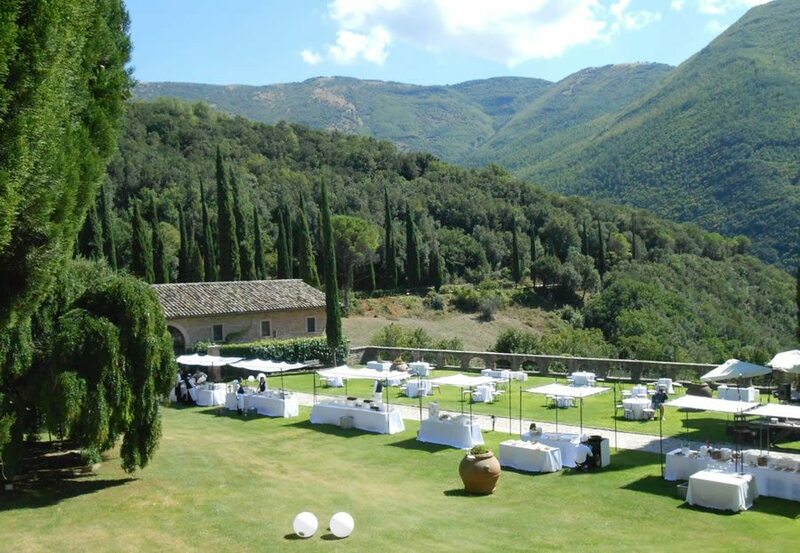 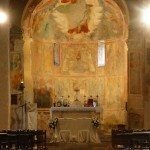 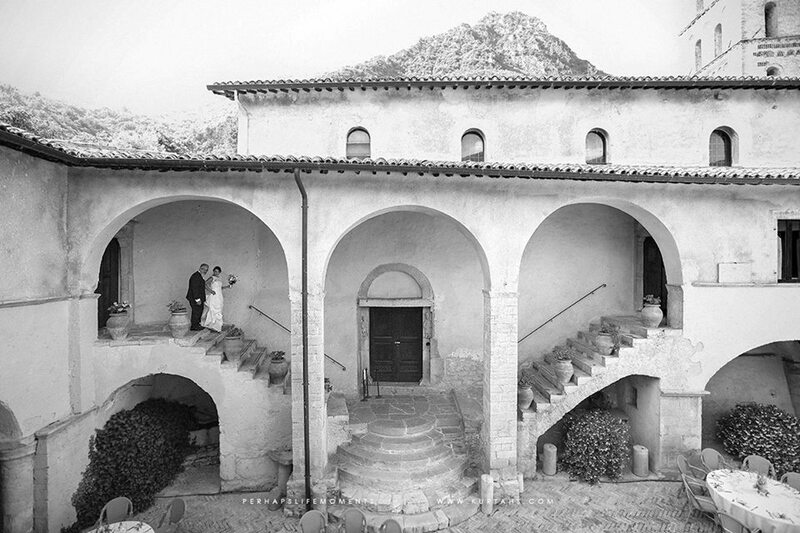 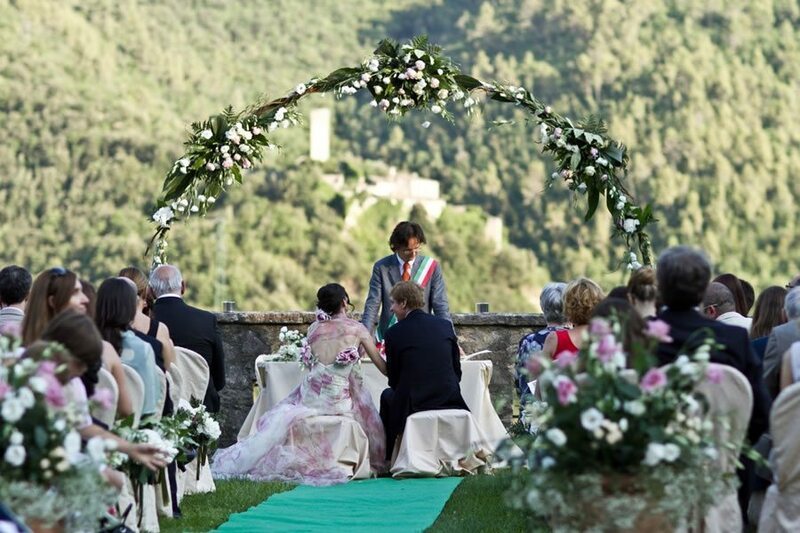 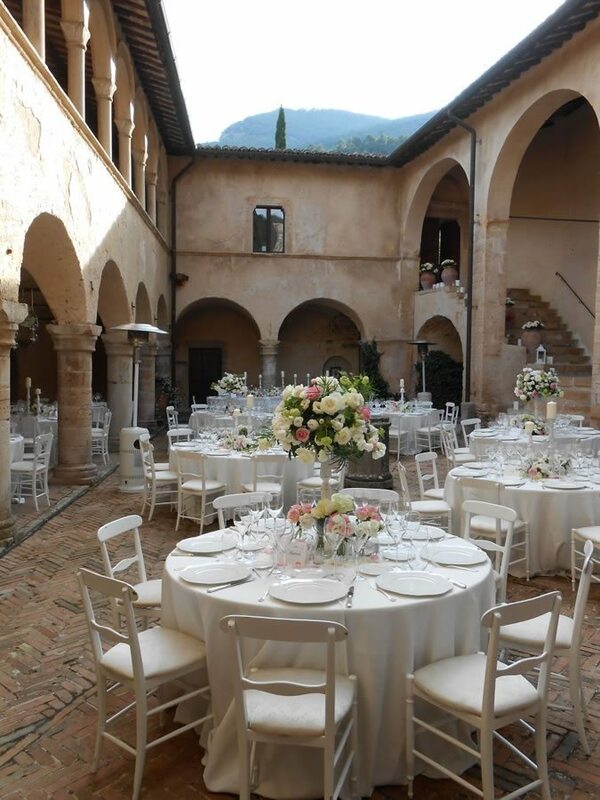 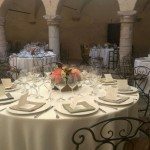 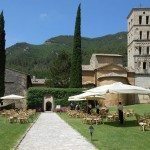 The abbey San Pietro in Valle is the ideal place, where you can celebrate your anniversaries: from weddings to Birthday parties, or any other anniversary connected to LOVE and AFFECTION. 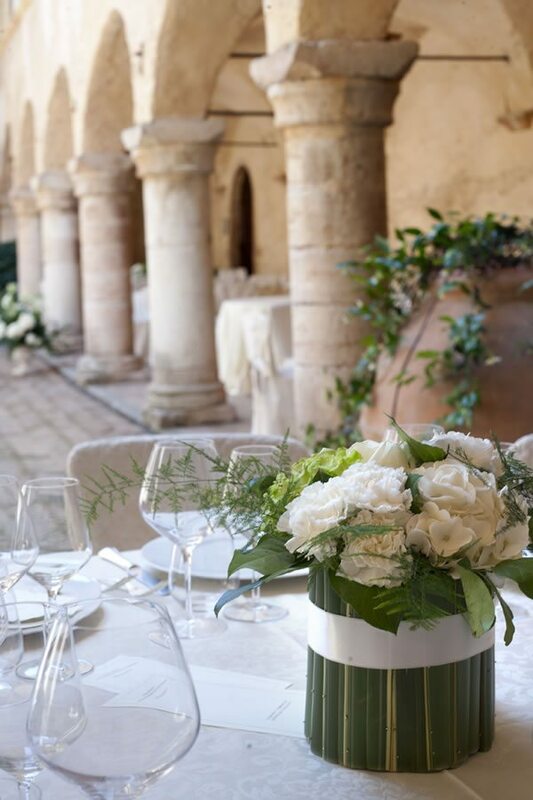 Exclusive rooms and inner spaces are at your disposal: the Romanesque cloister, the smaller cloister from 15th century, the lounge or the garden. 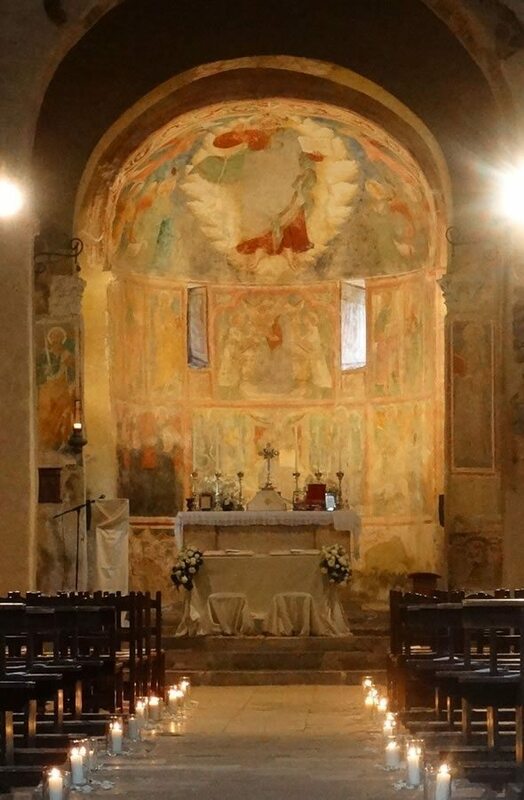 … on the background you’ll see the apse of the church and the bell tower, with the image of St. Peter. 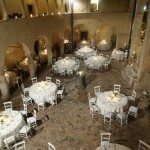 The abbey can accommodate up to 150 guests, who will be sitting in the old refectory or under the arches of the cloister. 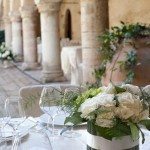 The inner restaurant will offer you a wide choice of interesting dishes, especially for wedding menus, with fresh flowers, elegant mise en place, taking care of any other detail you are asking for. 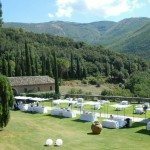 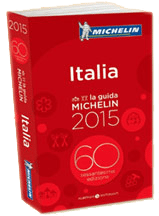 If you prefer a catering service, we’ll be glad to suggest you the best catering services of the region. 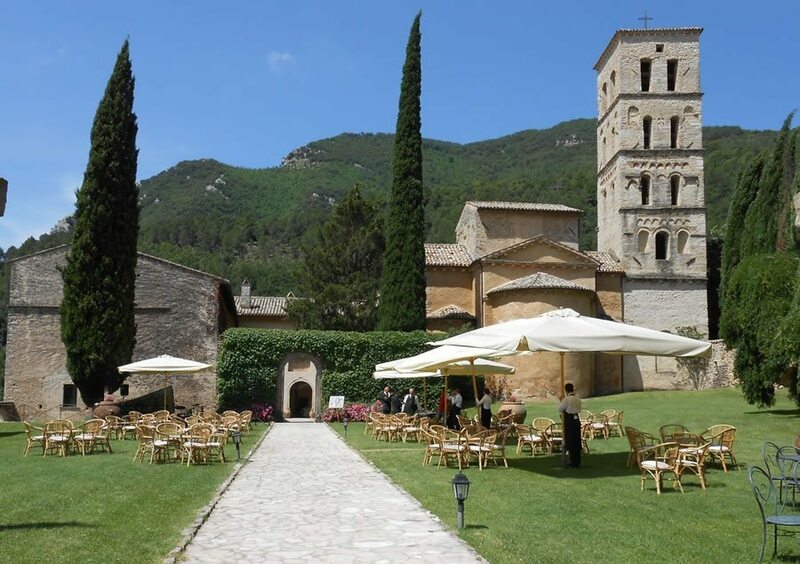 The solemn Longobards’ church, close to the abbey, is available – after permission by the local curia – for a ceremony as well.